Free sales techniques that will show you how to use a sales process, sell using your own words, and build a stunning Sales Introduction to give your sale a great start. This sales process has been successful for B2B sales, Retail, Direct sales, and Field sales. ...Click the image and take a look to see if it’s right for you..
Free sales techniques that explain and show you how to use a sales process rather than the traditional forms of sales training. An accelerated learning process that includes exercises, so you can quickly put the training into action today. No more rehearsed scripts or sales pitches, just plain talking with your customers. Talk to customers in your own words because you have chosen the information to include at each stage of the sales process. There’s no sign up or registration, and we don’t even want your email address. 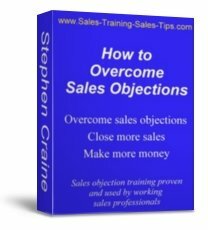 Now just click Free Sales Techniques and open the eBook to start using sales training that has been developed, and proven to be successful, by working sales people just like you. If you have your own business, or selling is not your main role, this sales training will show you how to sell professionally and effectively. One of the main benefits is the confidence it will give you when in front of potential customers. 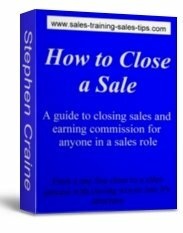 For many people attending sales courses are not the best way to improve sales. They can be expensive, don’t allow you to learn at your own speed, and the training can’t be used many times over. That’s why I developed my sales training courses in workbooks. They allow you to focus on the parts that are important to you. You can use the training as many times as you like, and progress at your own speed. You could build a fantastic sales introduction today, which will present you and your business to the buyer in a really effective way. Start your sale with confidence and clearly communicate your introduction. Learn sales training that will make the sales process work for you and increase sales. Make more money by converting more prospects to buying customers. You can open the eBook, use it, save it, try it out and see if it works for you like it has for many others. 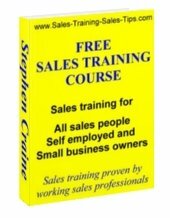 Take a look at the Free Sales Training workbook and see what you can use. When you have used the free eBook, and seen the results for yourself, would you give me your feedback. The training was developed by getting feedback from sales professionals, like you. With your help we can develop the training on this website to be even more effective and more salespeople will benefit. Please pass the eBook to friends and colleagues and ask them for their feedback and share it on the website. To leave your feedback click Feedback on free sales training and simply type in the box. 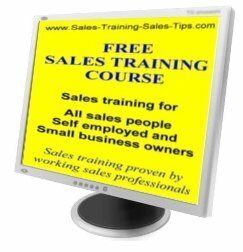 Return to Sales Training Free Courses main page.